Paint Store :: Shop by Brand :: Absolute Coatings :: ZIP STRIP 272005 PREMIUM PAINT AND FINISH REMOVER SIZE:5 GALLONS. 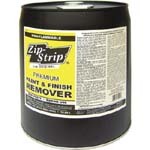 ZIP STRIP 272005 PREMIUM PAINT AND FINISH REMOVER SIZE:5 GALLONS. KRYLON KDH5005 COLOR CREATIONS ACRYLIC LATEX ENAMEL SATIN BLACK SIZE:1/2 PINT. 3M 88590NA 9" X 11" 180A GRIT ALOX PRO PAK PACK:25 PCS. ZINSSER 07104 GLOSS QUICK 15 SIZE:QUART. WATCO 65441 DANISH OIL FRUITWOOD SIZE:QUART. RUSTOLEUM 77775 7777502 SATIN BLACK STOPS RUST SIZE:QUART. ALLWAY 07055 SNB100 9 MM SNAP OFF BLADES PACK:100 PCS. UGL 12833 ZAR 128 EARLY AMERICAN WOOD STAIN 250 VOC SIZE:1 GALLON. 3M 2020-.75A 3/4" X 60YD MASKING TAPE S/W PACK:48 PCS.